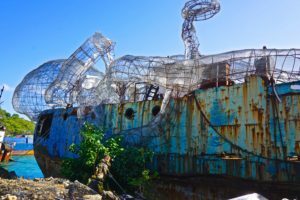 The newest addition to the British Virgin Island Dive Sites is the Kodiak Queen! Here is a little bit of history about why it’s such a fascinating boat, how it caught Richard Branson attention, and it’s new life ahead for her. 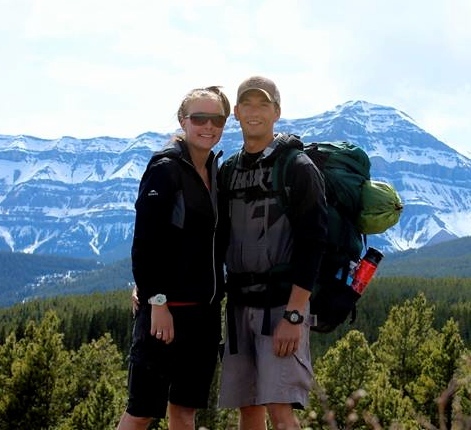 With a long history following her along as she made it all the way to the British Virgin Islands. It all started back in December 1941 when the bombings of Pearl Harbour took place, with what luck had it, she survived the bombings and only 1 of 5 boats did. Built as a Navy fuel barge, and later taken off the Navy lineup and made in to a fishing boat. 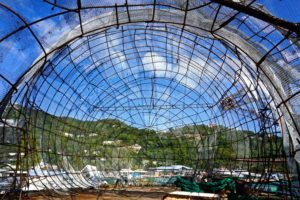 Over the 75 years it has lost its spark and interest and found floating in a harbour rusting away into nothingness in the British Virgin Islands. 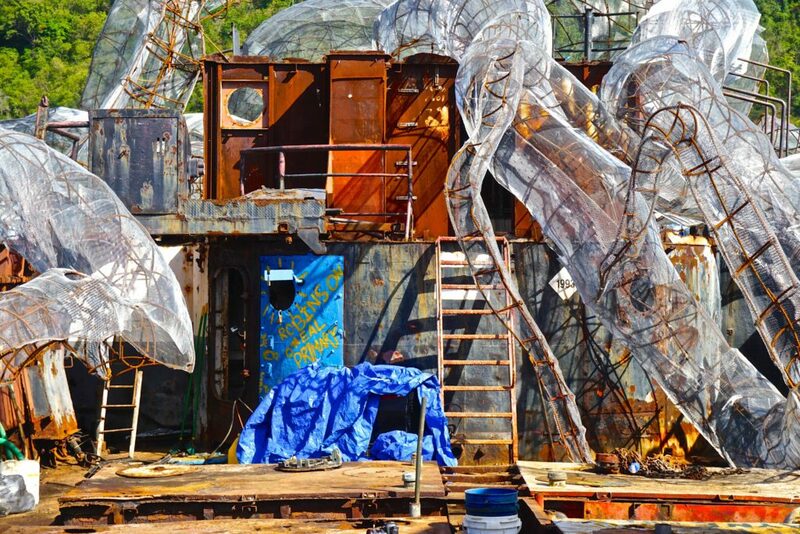 Upon begin found and the history of the boat was then revealed, it’s no longer in hiding. 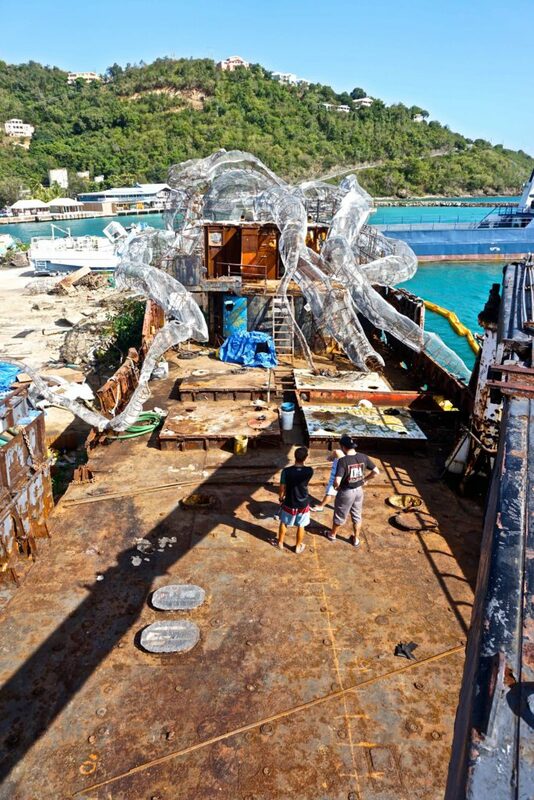 With some clever heads, and few people got together and with the financial backing of Richard Branson, the Kodiak Queen is set to become a new dive site in the British Virgin Islands, a big thanks to Dive The BVI Art Reef to making this happen and all the support from everyone else. 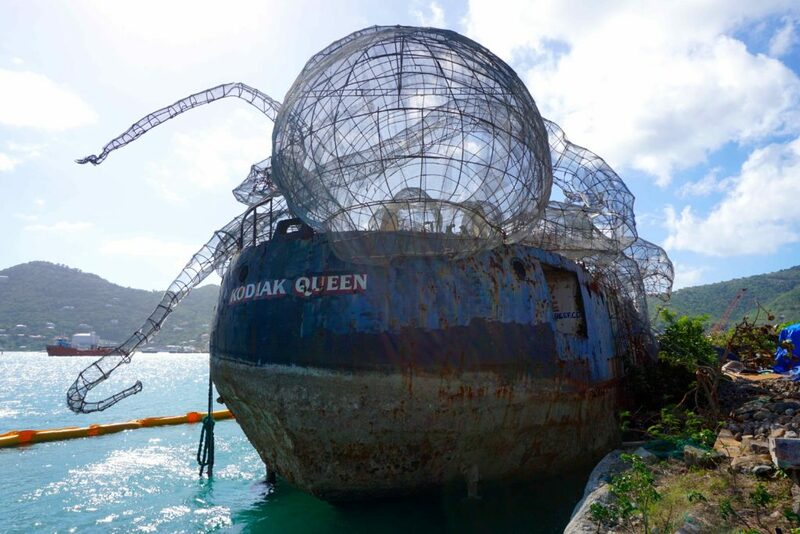 With such interest and motivation, the Kodiak Queen has been artistically sculptured with a Kraken with 80 ft long tentacles, which will become a habitat for coral growth, providing new homes for the marine life, Goliath groupers, and hopefully sharks. Along side with all that, also a scientific research for coral, fish, and shark conservation. It’s amazing what it has turned in to and all the volunteered time, money and effort put in to it. Excited to have another Dive Site added to the list here in the British Virgin Islands. Now to sink her safely and get the coral growing on it. This will grow into a very interesting dive site in the years to come! Come see us at Sail Caribbean Divers to see what this magnificent structure has become Below The Water and the prosperous reef it has blossomed into.